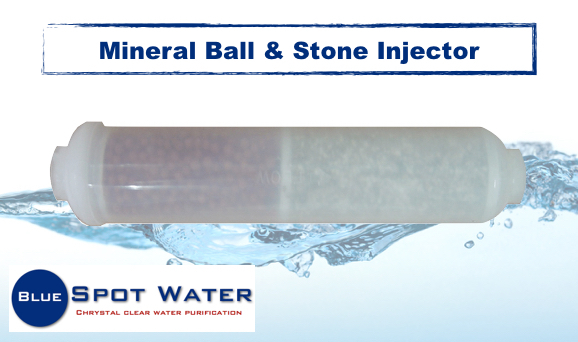 The Mineral Ball & Stone filter is made up of 2 different minerals. The first is called Silica Sand, it is a combination of oxygen and silicon. Silica promotes healthy bones and connective tissue. It also prevents premature aging and cardiovascular and Alzheimers diseases. The second mineral is used in many health products. It redeposits healthy minerals such as Potassium, Calcium and Magnesium back in the water. This filter can be added to your existing water filtration system under the counter. To make sure that this filter replace the needed minerals it can be changed every year. It is recommended to replace this filter every 20 to 24 months.